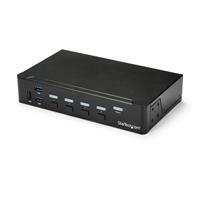 This 4-Port USB 3.0 HDMI® KVM switch lets you control four HDMI computers with a single monitor, keyboard and mouse. The KVM also features 3.5 mm audio and a built-in 3-port USB 3.0 hub. This KVM switch offers a built-in 3-port USB 3.0 hub that's separate from your HID keyboard and mouse, so you can share USB peripheral devices between each connected computer and avoid the expense of separate equipment. 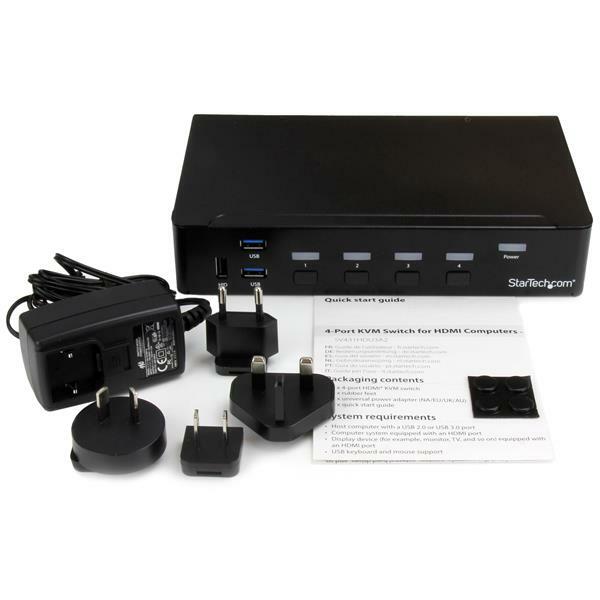 The USB 3.0 hub automatically switches your connected USB devices to the selected computer, saving you the hassle of disconnecting and reconnecting peripherals. 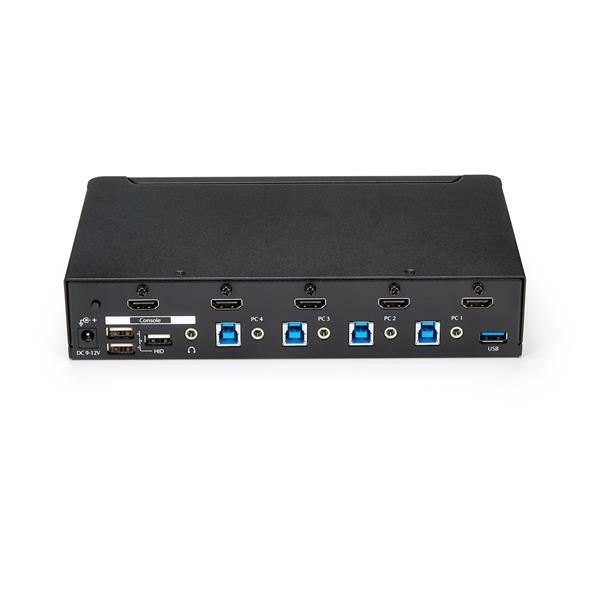 Offering support for high-definition 1080p resolutions, this 4-port HDMI KVM switch has the ability to drive HDMI displays with crystal clarity, making it ideal for graphical applications that require 1920 x 1080 video resolutions. The KVM switch features auxiliary 3.5 mm audio ports that enable you to share independent analog audio, from each of your connected computers, with your desktop speaker set. Independent audio, along with 1080p HDMI video, gives you full multimedia control between different computers, making this KVM perfect for creative professional applications such as video and sound design or editing. The SV431HDU3A2 is TAA compliant and backed by a StarTech.com 2-year warranty with free lifetime technical support.